The plot, in a nutshell: Mary/Maria has a pleasant life with a loving husband and children, from whom she has kept secret her mother’s side of her family, who are Sicilian mafia. They are thrust into her life and she becomes involved in some terrible situations, drawn further and further into dangerous territory that puts everyone she loves at risk. The author: Linda Lo Scuro is a pseudonym, due to the sensitive nature of the story. I am so intrigued by mysteriously secret identities! I rate this: 5 stars. Maria, the protagonist of The Sicilian Woman’s Daughter, is a retired, respectable teacher. Happy wife, mother of two daughters and Benjamin’s granny. Life is gorgeous in her West London residence (or not? ), by the Thames, and lovely Maria has all the time in the world to read books, drink tea, enjoy the time with her beloved husband Humps (or not? ), or do whatever she wants to do, all the day long. Or not? Zia, the other main character, an influential, fragile looking, old woman, and Maria’s aunt, will turn her niece's way of life upside down. Despite appearances, Zia is made of iron. La famiglia before anything else is her motto, and she proves it along with the action of the book. Suddenly Maria’s easy life turns into a fast stream, and she hardly manages to keep the direction. Her values and beliefs are washed away and she has to face fear and anger. Written in the first person The Sicilian Woman’s Daughter immerses the reader deeply and actively and it blows away the benefit of the doubt for the perpetrators, because justice, in Mafia terms, is a matter of feelings, guts and immediate reaction. The charm of reading this book is that: always, and I mean always, the reader is satisfied with the result. A gun under the bed will make the owner more confident and his/her self-esteem 1000x higher. Just saying! The Sicilian Woman’s Daughter is a confrontation between raw, unpolished power (men) and the sophistication of women’s minds. Guess who will win in the end! Vaffanculo... I love the word as much as I love this book. Talk about attitude! Sicilian women are a surprising bunch according to Linda Lo Scuro's book "The Sicilian Woman's Daughter". Abused, scheming, vindictive, connected, murderous, victims and victors. I loved discovering the story of Maria aka Mary who came from a poor Sicilian background to recreate herself in England as a successful and wealthy teacher and wife to a high flier bank executive. She has just retired and with more time on her hands, she is encouraged to visit her Aunt Zia who lives in London also. Well, this little old lady is a complex web of hidden secrets and dodgy dealings. I don't want to tell here the extent of her power within the Sicilian underworld ...... but quite a few people are dead because of her scheming combined with her contacts. She is held in high regard and this goes along way in getting what you want in Sicily. Maria goes for a family trip to Sicily and is further drawn into the shady world of mafia happenings....much to her dismay and attempts to stay removed from her past. Her morals and all she has created for herself/of herself are under threat. I was fascinated by this story and can completely understand the fascination Linda Lo Scuro has also. The excitement of danger is enthralling. From the get-go (catchy title), The Sicilian Woman’s Daughter delivers an exciting multigenerational story. I enjoy reading fast-paced novels steeped in cultural drama. This one fulfils my love for mysteries and intrigue. Linda Lo Scuro weaves the story about the daughter of Sicilian immigrants with layer upon layer of substance. Soak up the history and ride the turbulent waves of discovery as Maria learns about herself and the roles of women in the Sicilian families. The novel The Sicilian Woman’s Daughter shows what it’s like to wake-up to your heritage and integrate that knowledge into your present life. It’s a must-read for mystery lovers. This is a cracking good read and it brings to life the Sicilian family that Mary/Maria has tried to forget for over 30 years. Mary is married to Humphrey, a banker with two delightful daughters and a grandson. They live in an upmarket apartment and she has just retired from teaching in a series of prodigious schools. Despite her seemingly Englishness as the tale unfolds we learn of her connections to a family of women who are definitely Mafia and of her dreadful childhood of abuse and neglect. She has carefully created her place in society through her looks and intelligence making sure that her Sicilian family stays out of her life, that is until she reconnects with Zia her mother’s sister and through helping her she begins to expose dreadfully deeds that have occurred and are still occurring due to the women in her family. Her life is then torn apart by realising that she is just the same as her Sicilian family and she needs them to help her when the life of her immediate family is at risk.. A story that will bring alive the heat and the underbelly of life in a Mafia controlled Sicilian village. I have always considered women to be the 'power behind the throne' (I apologize to all those Queens like Her Majesty and her husband who has to walk BEHIND her) and this book proves it to be true. It was fascinating to read about how different her lives were depending on where she was or WHO she was that day. This is an addictive read from page one to last and thoroughly enjoyable! An interesting and thought provoking read this one. Mary also known as Maria has two identities - an Italian one and a British one. She now lives in London but returns to the place known as The Village, in Sicily to unpack the mysteries of her past. She’s living a troubled life, not feeling part of the world she’s now in - She’s known not by her name by many but as “the Sicilian woman’s daughter” and this separation of identities and anonymity is crushing to read about. Maria tells her story of her Sicily and the image the world has of that place - its mafia connections and how she and everyone from there is tarred with the same brush. As the story takes us on that (very fascinating) train journey across to the island, secrets start to float to the surface, as do the bodies from the depths of the water no doubt. A fascinating look at the mafia stain on a family of women and what they have to do to survive, bring justice and not be a victim. There are four generations of women’s stories to immerse yourself in and this is a real treat, never too much nor too long. Sicilian words pepper the text as they would the pasta. An enthralling read on many levels. Living in London Maria (Mary) has sought to escape her Sicilian roots keeping her family history away from her English husband and her children. However a cup of tea with her Sicilian aunt results in her being drawn back to her roots, and the mafia connections. Maria tells her story, her memories of her mother, the visits to Sicily and family there. An enthralling glimpse into another world where grandmothers keep a gun close to hand, and it pays to be very respectful to others - who knows what mafia connections they may have. Maria has recently retired, is enjoying life in West London, and uses some of her free time to visit her aunt. In so doing she is drawn into Sicilian plots and intrigues, ranging from making a man love a woman to dealing with a violent husband. Eventually Maria takes her family to visit Sicily, and becomes embroiled in revenge and justice mafia style. Certainly exciting and riveting reading. The book has a list of characters and Sicilian/Italian words at the front, which I found a little daunting, but in fact I only referred to them on a couple of occasions. Although the book covers 4 generations of Maria's family, it is very clearly written and I was never confused as to who was who. The Sicilian/Italian words used are done so in context, blend in well, and are mostly explained in the main text. It was a fast moving book, included plenty of surprises, and gave an insight into different way of life and family ties. The book has left me wondering how much of it is based on the reality of life in some of the regions of this island. Thought provoking! As I read this book I felt I was reading a true account of how ordinary lives can be turned upside down by family connections we try to remove ourselves (in this case the Mafia). Insightful, well written and I found the pace just right. The storyline took an interesting twist at the end which didn’t disappoint. Wow – this is a great story! The writing is superb throughout and I see Linda Lo Scuro progressing to great success. The story was pleasing and easy to follow. When I started the book I read all the characters and thought I would lose a lot trying to keep everyone together to get to the end of the book, not so. It was written in just such a way that it was easy to follow all the players. Maria grew up in England and Sicily with a mother who was very mean to her. Her mother would hit and beat her. Peppina was the reason that Maria was forced into an arranged marriage. She also hit and kicked Maria so badly that Maria lost a kidney. Maria never told anyone about this but kept it bottled up inside her. The story tells of all the things that the mafia had done in Sicily and brought over to London when another of Maria's aunts moved there. Her name was Zia! She at least helped Maria to get through her life! The story was very interesting and very easy to follow. I would recommend it to all my family and friends. When I saw the list of characters at the front I thought I would never be able to remember the names or follow. But once I got into it, it was brilliant. I loved the sicilian translations. An exciting plot, great characterisation and an unexpected ending all add up to a thoroughly enjoyable read. OUTSTANDING. This book makes very interesting reading and a lot of research has gone into it. I also like Linda’s writing style, and the plot flowed. I have awarded this book 5 deserving stars. Family ties can be strong. 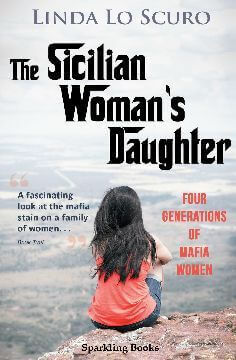 The Sicilian Woman's Daughter shows how four generations of mafia women both protect and destroy. Maria, the protagonist, is a daughter of Sicilian immigrants to the British society. Where Maria herself seems to prefer settling in the UK and marries a local, her mother and grandma still pull. Illustrated in very Italian English, pull. Returning to The Village on Sicily is accompanied by three funerals and no wedding in sight. Women acting as perpetrators and victims of domestic violence, brutal murders, money laundering, alcohol and drug abuse, and adultery. No matter how many rosaries you say, how faithful you are, there are always excuses to take revenge if that suits you well. Female sophistication and guns, poison, and network connections do the trick. The plot’s convincing and rich in local flavors. A very interesting and thought provoking book. This book is full of cultural drama, which I really enjoyed. The book is well written and flows consistently through to the end. This makes the book easy to read. It is written in the first person which makes you feel as if it’s a true account of Mary/Maria’s experiences rather than the story being fictional. While reading this book you can tell that Linda Lo Scuro has researched the topics covered in the book thoroughly. I really liked how Linda has given a list of characters at the beginning of the book. When I first saw the list I thought, how am I going to remember all these characters, but as I started reading I didn’t have any trouble. Also, at the beginning there is a list of Sicilian /Italian words and definitions. I thought this was a great idea, also now I know a few basic words in Sicilian/Italian. An interesting ending as I wasn’t expecting it to end the way it did. Firstly, I wanted to get my hands on this because of the research. The Sicilian mafia, the Italian roots of someone who's grown up in London. Bam! Perfect match. But then the story starts flowing and is easy to follow and you find yourself carrying a lot more than you'd expected. I mean what do I know about what it feels to grow up surrounded by the mafia? While teaching English in Rome, I had a few students with stories that blew my mind. So, of course, seeing this synopsis I plunged right in. I can't say how genuine it is, but it sure reads well. Like a truly good book. Not like your typical commercial thriller about what most people assume is mafia from the movies. That was exactly what I wanted. And that's exactly what I got. I would love to read other works by Linda Lo Scuro. I really enjoyed Linda Lo Scuro style of writing it was like peeking into Maria's diary sometimes others it felt as intimate as having a conversation with Maria about her life. What an interesting life! Lo Scuro has Maria take you on a wonderful journey from London to Sicily & back... She finds her way out and begins her new life having her own a family and career, detaching herself from her family in Sicily and her roots. But just like they said in the Godfather "Just when I thought I was out they pull me back in." I love how Lo Scuro wrote from multiple women's perspectives about revenge, the way she built up the layers of multiple characters was quite fun to read. She even managed a couple of plot twists that I didn't see coming in the storyline. I will warn you when reading this book visits to Zia's house will make you hungry for some good Italian home cooking & baking. Best to read this book with a side of good cannoli to snack on! I am looking forward to reading more by Lo Scuro she writes very interesting strong female characters in this book. This was definitely a satisfying read from start to finish! I went into this book without knowing anything about it and I was pleasantly surprised at how much I enjoyed this book. The book grabbed me and I couldn’t put it down! Very intriguing good read. Mary or Maria, as she has double identities, is a great heroine. Thought provoking. The book drew me in from the first page until the last. Thanks for the advanced copy :-). I’ll definitely be looking out for more to come from this author! I started reading this book without knowing what to expect and I was pleasantly surprised at how much I enjoyed this book. This book is about a woman who has been living with two identities. On one hand she is Mary who lives in London with her English family, on the other she is Maria the daughter of Sicilian immigrants who come to England and it's a side to life that she has been trying to keep secret from her English family for over 30 years but becoming hard to hid for the past. The book is well written and flows consistently through to the end it is written in first person which makes you feel as if it’s a true account of Mary/Maria’s experiences rather than the story being fictional. Well done to the author on producing an excellent read. Refreshingly original, emotive and with a number of unique facets to the story, this is a highly accomplished debut novel. I particularly liked the fact that the line between fact and fiction was beautifully blurred with the two sides rubbing along seamlessly. It has you questioning throughout whether a particular event actually did occur in real-life or whether it's a figment of the author's imagination. Either way, it makes for a very interesting read. Written under a pen name, and having released very few biographical details about herself, Lo Scuro has said that when writing The Sicilian Woman's Daughter that she wished to remain detached from the link her family have had to the mafia which could've led to upset and repercussions within her family circle. I guess this also answers the question of why her profile picture on Twitter is only an avatar/cartoon. This for me makes the book even more interesting and intriguing than it already was! You can tell that the author knows what she is talking about regarding the mafioso women in this story and the impact this had on their lives, everything about it feels authentic. It is sad but also obvious to me that this secrecy regarding the author's name is essential, but spare a thought for her because, as she has mentioned in interviews, if the book is successful there would be no glory for her due to the anonymity - so this has both negative and positive aspects to it. She continues by saying that she would not have written it had she needed to disclose her identity, so a big shout out to the publisher for allowing this. A fascinating book, immediately engaging and thought-provoking from first page to last, with an intriguing backstory, Highly recommended. We’ve seen the mafia movies and been fascinated by them, but now, fans of the genre are in for a real treat: seeing this world through the eyes of its women. The protagonist, Mary, is complex. She’s engaging and likeable, but underneath the layers lurks a troubled upbringing. She’s Sicilian and living in England now with her adoring and charming husband. Readers will love him. The present and the past intermingle to draw readers into a world painted brilliantly with sensory details. We discover Mary and have the pleasure of hearing about a fascinating group of colorful characters. The cultural details draw a more complete picture and create understanding. But we also are reminded that there are more sides to the cultural story, of course. Mary has a good life with her professional husband, but when she visits her aunt Zia, she gets drawn into helping her help others…but not in the typical way. Mary ends up seemingly out of her comfort zone running interference for Zia, but while performing certain actions, Mary draws deeply of her Sicilian heritage and then remembers where her family came from and what they were capable of. She does help others, but at times, this includes teaching people lessons. Readers wonder, will Mary cross a certain line eventually? Will things escalate and change this good woman into something else? There are the stereotypical violent men in this book who bully women. But do the women have a voice? Is there anything they can do? Scuro’s female characters use their strength and their power and show a side to the whole mafia picture that isn’t often shown. The women do surprising things, making for gripping story. There is a quote in the book by the female lead that sums up the struggle: “[The abuse]…when you’re an adult, it leaves you with a painful black hole inside; and you’re forever trying not to go to that dark center, moving around the perimeters and trying not to get swallowed up by it” (168-169). Mary ends up doing things one wouldn’t have thought her capable of. Does this change the way a reader will view her? At any rate, Mary brings up profound ideas such as what anyone is capable of given exposure to the right people and circumstances. There are surprises in this book and lots of food for thought. It is a worthwhile read. Linda Lo Scuro does a remarkable job of portraying the 'nature vs nurture' dilemma that Mary faces and while she is a cultured English woman when we first meet her, she knows her wider family circle live amongst a relentless, unforgiving and ruthless culture. How much of that 'nature' element will come to the fore when she agrees to return to Sicily with her own family, to resolve a wider family matter? While the writing is excellent, the incidents described, the tension built, and the character interactions, all have a feel of authenticity. A very good story and one that I am sure some people can relate to. Mary (Marie) is the focus of the story and after being retired for some time she has decided to spend some time with an Aunt of hers. They live in England having emigrated from Sicily and Marie really only has this Aunt left as a family having married an English banker. While being around her Aunt she is noticing that her Aunt is like some of the older women of the village that she grew up in. The Aunt speaks a lot of what happens in the family stays in the family, what is said in the family stays in the family. For me, this was the way I was raised coming from an Italian and the family from Southern Italy so a lot of what happens in this story reminds me of some of my relatives, male and female. The story really takes off when the family takes a trip back to Sicily and to the village where she grew up. I found this to be a very good read that once I started I wanted to finish and the story grabs you all the way to the end. There are enough twists and turns even in the family to make any story interesting. The characters are all good and the storyline is easy to follow. For me, this was a very good book. I wanted to read this because of the research. The Sicilian mafia, the Italian roots of someone who’s grown up in London. Awesome. The story starts flowing and is easy to follow and you find yourself thinking more than you’d expected. I mean what do I know about what it feels to grow up surrounded by the mafia. Not like your typical commercial thriller about what most people assume is mafia from the movies. sums up this book perfectly. An interesting read highlighting how different cultures are, or are they? Sometimes it’s the person you think you know best you actually know least. I enjoyed this book about a woman coming to terms with her heritage and its place in her world today. I found the story to be compelling and well written. I will definitely recommend this book to others. A thoroughly good read with very interesting characters, particularly the female ones, which gives an excellent insight to the current state of the mafia at ground level in Sicily. It is hard to credit that the mafia still operates in local communities there and can still make people ‘disappear’ if considered necessary. 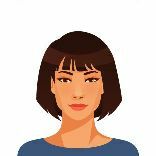 In particular the development of the lead character from a fairly normal middle class English woman to a murderess was dealt with such that the transition seemed almost inevitable and acceptable despite being a surprise. The movement of the main characters between England and Sicily added an interesting dimension to the novel which rendered it not only exciting and relatively fast moving but also very informative. An intriguing story of how you can try to escape your family roots, but sometimes those ties are too strong. The author introduces us to independent women tied together through brutality, heritage, blood and secrets. A great book which I felt was as true an account as you will get about how the Mafia can affect everyone who is involved with them even if they do not want to be. Lives have a very different meaning and whilst family connections are strong they can’t escape it even if they want to. ISBN 9781907230707 price may vary.